DDAA Planeta azúcar. VSF Justicia Alimentaria Global, Mundoprint, 2014. Mann J.I., et al. “Evidence-based nutritional approaches to the treatment and prevention of diabetes mellitus”. Nutr Metab Cardiovasc Dis. 2004; 14:373-394. ”Evidence-based nutrition guidelines for the prevention and management of diabetes”. Diabetes UK 2011. http://www.diabetes.org.uk. Rodríguez-Artalejo F., Garces C., et al: “Dietary patterns among children aged 6-7 y in four Spanish cities with widely differing cardiovascular mortality”. European Journal of Clinical Nutrition. 56(2):141-8,2002. Lanaspa M.A. et al. “Endogenous fructose production and metabolism in the liver contributes to the development of metabolic syndrome.” Nat Commun. 2013;4:2434. Frey, J. 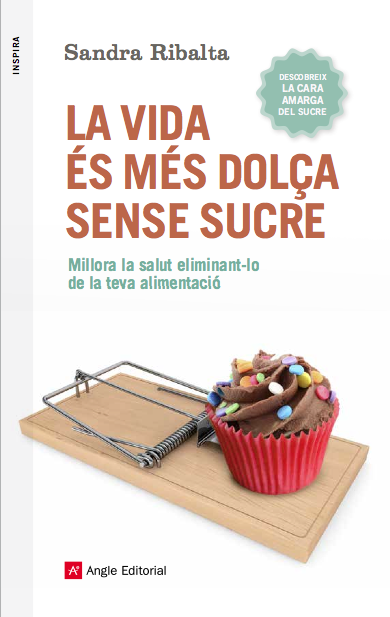 “Is There Sugar in the Alzheimer’s Disease?” Annales De Biologie Clinique. 2001; 59 (3):253-257. Kroner Z.”The relationship between Alzheimer’s disease and diabetes: Type 3 diabetes?” Altern Med Rev. 2009 Dec;14(4):373-9. Yang Y, Song W. “Molecular links between Alzheimer’s disease and diabetes mellitus.” Neuroscience. 2013 Oct 10;250:140-50. Pearson-Leary J, McNay EC. “Intrahippocampal administration of amyloid-β(1-42) oligomers acutely impairs spatial working memory, insulin signaling, and hippocampal metabolism.” Journal of Alzheimers Disease. 2012;30(2):413-22. Glinsmann, W., Irausquin, H., Youngmee, K. “Evaluation of Health Aspects of Sugar Contained in Carbohydrate Sweeteners”. F. D. A. Report of Sugars Task Force. 1986:39. American Journal of Clinical Nutrition. . Oct 2003; 78:881-892. American Academy of Neurology (AAN). “Hold the diet soda? Sweetened drinks linked to depression, coffee tied to lower risk.” ScienceDaily. ScienceDaily, 8 January 2013. Tsenkova VK, et al. “Trait anxiety and glucose metabolism in people without diabetes: vulnerabilities among black women.” Diabet Med. 2012 Jun;29(6):803-6. Grant P, et al. “The impact of anxiety and depression on patients within a large type 1 diabetes insulin pump population. An observational study.” Diabetes Metab. 2013 Oct;39(5):439-44. Holt R.I., et al. “The relationship between depression, anxiety and cardiovascular disease: findings from the Hertfordshire Cohort Study.” J Affect Disord. 2013 Aug 15;150(1):84-90. Kim Y, Chang H. “Correlation between attention deficit hyperactivity disorder and sugar consumption, quality of diet, and dietary behavior in school children.” Nutr Res Pract. 2011 Jun;5(3):236-45. Zeeni N., et al. “A cafeteria diet modifies the response to chronic variable stress in rats.” Stress. 2013 Mar;16(2):211-9. Watt T.T., et al. “Sugar, stress, and the Supplemental Nutrition Assistance Program: early childhood obesity risks among a clinic-based sample of low-income Hispanics.” Journal of Community Health. 2013 Jun;38(3):513-20. Kim Y., et al. “Academic stress levels were positively associated with sweet food consumption among Korean high-school students.” Nutrition. 2013 Jan;29(1):213-8. Rogers A.E., Nields HM, Newberne PM. “Nutritional and Dietary Influences on Liver Tumorigenesis in Mice and Rats”. Arch Toxicol Suppl. 1987;10:231-43. Reiser, S. “Effects of Dietary Sugars on Metabolic Risk Factors Associated with Heart Disease.” Nutritional Health. 1985;203:216. Monnier, V., “Nonenzymatic Glycosylation, the Maillard Reaction and the Aging Process.” Journal of Gerontology. 1990;45:105-111. Albrink, M., Ullrich I. H. “Interaction of Dietary Sucrose and Fiber on Serum Lipids in Healthy Young Men Fed High Carbohydrate Diets.” American Journal of Clinical Nutrition. 1986;43:419-428. Reiser, S. “Effects of Dietary Sugars on Metabolic Risk Factors Associated with Heart Disease.” Nutritional Health. 1985;203-216. Yoo, S. et al. “Comparison of Dietary Intakes Associated with Metabolic Syndrome Risk Factors in Young Adults: the Bogalusa Heart Study” American Journal of Clinical Nutrition. 2004 Oct;80(4): 841-848. Sanchez, A., et al. “Role of Sugars in Human Neutrophilic Phagocytosis”, American Journal of Clinical Nutrition. Nov 1973;261:1180-1184. Ringsdorf, W., Cheraskin, E. and Ramsay R. “Sucrose, Neutrophilic Phagocytosis and Resistance to Disease”, Dental Survey. 1976;52(12):46_48. Manzel A. et al. “Role of “Western diet” in inflammatory autoimmune diseases.” Curr Allergy Asthma Rep. 2014 Jan;14(1):404. Misra S., Singh B. “Insulin resistance and hypothyroidism: a complex relationship in non-alcoholic fatty liver disease.” J Indian Med Assoc. 2013 May;111(5):324-6, 329. Macdonald I. ”Some effects of various dietary carbohydrates on thyroid activity in the rat.” Ann Nutr Metab. 1989;33(1):15-21. Tonstad S. et al. “Vegan diets and hypothyroidism.“ Nutrients. 2013 Nov 20;5(11):4642-52. Evengård B., Gräns H., Wahlund E., Nord C.E. “Increased number of Candida albicans in the faecal microflora of chronic fatigue syndrome patients during the acute phase of illness.” Scand J Gastroenterol. 2007 Dec;42(12):1514-5. Grant J.E., Veldee M.S., Buchwald D.“Analysis of dietary intake and selected nutrient concentrations in patients with chronic fatigue syndrome.” J Am Diet Assoc. 1996 Apr;96(4):383-6. Shin S., Joung H. “A dairy and fruit dietary pattern is associated with a reduced likelihood of osteoporosis in Korean postmenopausal women.” Br J Nutr. 2013 Nov;110(10):1926-33. Park S.J. et al.“Dietary patterns and osteoporosis risk in postmenopausal korean women.” Osong Public Health Res Perspect. 2012 Dec;3(4):199-205. Moerman, C. J., et al. “Dietary Sugar Intake in the Etiology of Biliary Tract Cancer.” International Journal of Epidemiology. Ap 1993;2(2):207-214. Quillin, Patrick, “Cancer’s Sweet Tooth.” Nutrition Science News. Ap 2000. Yudkin, J., Eisa, O. “Dietary Sucrose and Oestradiol Concentration in Young Men”. Annals of Nutrition and Metabolism. 1988:32(2):53-55. Moerman, C. et al.”Dietary Sugar Intake in the Etiology of Gallbladder Tract Cancer.” Internat J of Epi. Ap 1993; 22(2):207-214. Hauner H, et al. “Evidence-Based Guideline of the German Nutrition Society: Carbohydrate Intake and Prevention of Nutrition-Related Diseases”. Ann Nutr Metab 2012; 60 (Suppl. 1): 1-58. Banegas J.R., Graciani A., Guallar-Castillón P., et al. Estudio de Nutrición y Riesgo Cardiovascular en España (ENRICA). Madrid: Departamento de Medicina Preventiva y Salud Pública. Universidad Autónoma de Madrid, 2011. Muñoz C., Sosvilla S. Informe económico 2013. Madrid. FIAB, 2014. Biobehav Rev 2008; 32:20 – 39. Gearhardt, A., Roberts, M. and Ashe, M. “If Sugar Is Addictive…What Does It Mean for the Law?”. The Journal of Law, Medicine & Ethics, 2013. 41: 46–49. Mouse Genome Sequencing C, Waterston RH, Lindblad-Toh K, Birney E, Rogers J, Abril JF, et al. “Initial sequencing and comparative analysis of the mouse genome”. Nature. 2002;420(6915):520–562. Castro M.C., et al. “Lipoic acid prevents fructose-induced changes in liver carbohydrate metabolism: role of oxidative stress”. Biochim Biophys Acta. 2014 Mar;1840(3):1145-51. Moreno J.A., Hong E. “A single oral dose of fructose induces some features of metabolic syndrome in rats: role of oxidative stress.” Nutr Metab Cardiovasc Dis. 2013 Jun;23(6):536-42. Mattes R.D., Popkin B.M. “Nonnutritive sweetener consumption in humans: effects on appetite and food intake and their putative mechanisms”. Am J Clin Nutr. 2009 Jan;89(1):1-14. Yang Q. “Gain weight by “going diet?” Artificial sweeteners and the neurobiology of sugar cravings” Neuroscience 2010. Yale J Biol Med. 2010 Jun;83(2):101-8. Pepino M.Y., Bourne C. “Non-nutritive sweeteners, energy balance, and glucose homeostasis.” Curr Opin Clin Nutr Metab Care. 2011 Jul;14(4):391-5. Swithers S.E., Martin AA, Davidson TL. “High-intensity sweeteners and energy balance.” Physiol Behav. 2010 Apr 26;100(1):55-62. Andrew Renwick et al. Edulcorantes bajos en calorías: funciones y beneficios International Sweeteners Association. pp 1-31. Mortensen A. “Sweeteners permitted in the European Union, Safety aspects”. Scandinavian Journal of Food and Nutrition. 2006;50(3):104-116. Raben A., Richelsen B. “Artificial sweeteners: a place in the field of functional foods? Focus on obesity and related metabolic disorders.” Curr Opin Clin Nutr Metab Care. 2012 Nov;15 (6):597-604. “Real Decreto 2002/1995, de 7 de septiembre, por el que se aprueba la lista positiva de aditivos edulcorantes autorizados para su uso en la elaboración de productos alimenticios, así como sus condiciones de utilización”. BOE 12 de Gener de 1996. “Real Decreto 2027/1997, de 26 de diciembre, por el que se modifica el Real Decreto 2002/1995, de 7 de septiembre, que aprueba la lista positiva de aditivos edulcorantes autorizados para su uso en la elaboración de productos alimenticios, así como sus condiciones de utilización”. BOE 17 de Gener de 1998. White B., “Flavour perception: From basic research to industrial applications.” Rev. Trends Food Sci Tech 1996;7:386.